The hinge comes in 2 pieces and is designed so that the pin is on one half and slots into the barrel which is on the other. This allows the door, gate or lid to be removed or lifted off without having to remove the hinge. 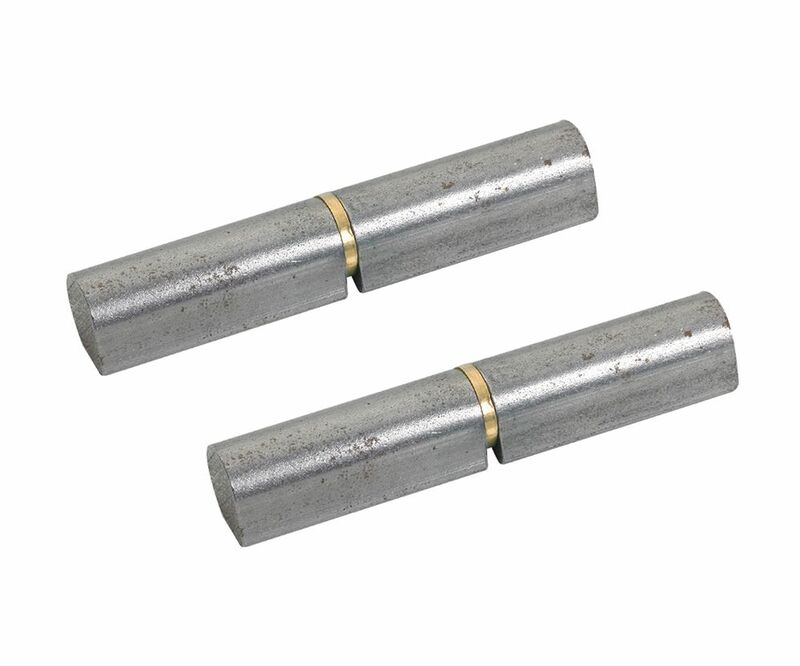 Designed to be unobtrusive this bullet hinge has no leaves, is made from mild steel and has a flat head.